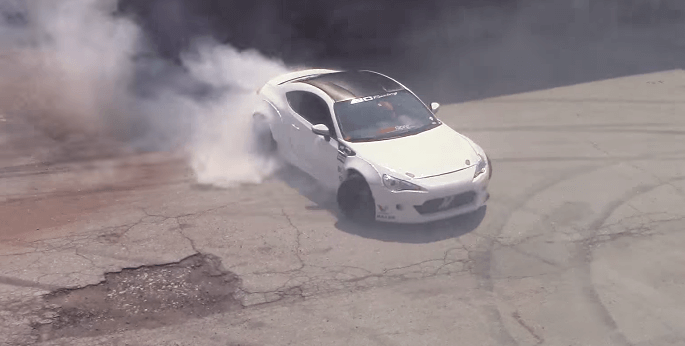 Ryan Tuerck is SLAYING the tires of his 2JZ FR-S! Ryan Tuerck is has many fans as a driver due to his consistency and solidness- he is always in the season end point race. He is known for driving different Chevy platforms and most of all he’s known by his work on Nissan S chassis however, now, he has something new- a Scion FR-S. The Ryan Tuerck FR-S is undoubtedly an exciting car but as Tuerck is a Formula D driver, he knew that he can’t enter the game with that sort of horsepower; it’s just not up the task. Ryan Tuerck with his 2JZ FR-S! The engine that had enough power to keep up with Ryan was the Toyota 2JZ. It’s a long and heavy engine but they’ve got it under the hood of his ride. Impressed? Wait until you hear the sound of that thing or better yet, check out what Tuerck can do with that combination! Airless Tires & Bulletproof For The Army – The Honeycomb Tire! Dog Driving A Mini Car – How Cute Is That?? The most expensive mansion on 90210 with an insanely equipped garage! Spectacular 1967 Chevrolet Camaro with full Rally Sport package! !